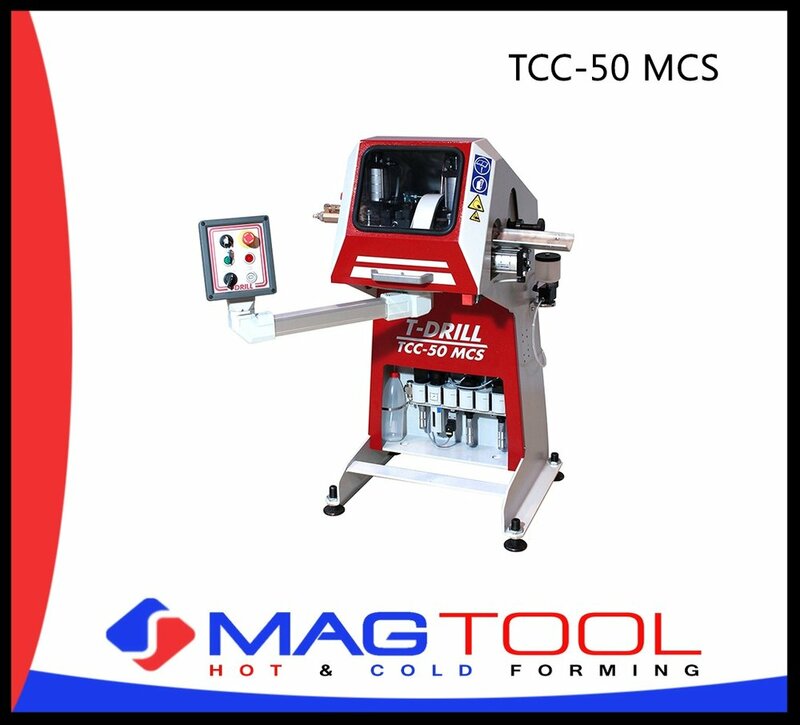 The TCC-50-MCS provides a cost effective solution for those needing the benefits of a chipless rotary cut-off but with lower volume requirements. The tube is fed manually by the operator to the adjustable stopper followed by automatic rotary cut-off. With a digital read-out the cut-length setting can be made fast and accurately. The tube diameter range is 1,5–50,8 mm. The machine is suited for copper, aluminium, brass, CuNi, mild- and stainless steel. The Rotary cut-off eliminates chips, scrap, secondary deburring and part washing. It is ecologically friendly, quiet and fast cutting method. Minimal I.D. reduction is of vital importance for secondary operations such as mandrel bending and stand alone end forming. With TCC-50-MCS, this can be achieved by using a fast, two step cutting method. No chips, scrap, secondary deburring and part washing.